Home / Uncategorized / How can we scale up fortuitous partnerships? A couple of weekends ago, the Chinese Prime Minister Li Keqiang made his first ever trip to Africa, visiting Angola, Ethiopia, Nigeria and Kenya. This was a significant date. 50 years ago, the then Chinese Premier Zhou Enlai made the first ever official Chinese visit to Africa. In Kenya, as with visits to other countries, Premier Li Keqiang took the opportunity to join the Head of State – President Uhuru Kenyatta – to announce a number of new partnerships which all sounded very positive. But had Premier Li Keqiang and President Kenyatta gone to a rural part of Kenya called Githumu, they would have been introduced to another positive partnership, but this time distinctly more informal and involving the UK and the private sector as third parties to the partnership. Githumu is the place where my aunt and uncle live and farm, and it’s just over an hour away from Nairobi by road. Some years ago, my aunt and uncle saw changes taking place in their neighborhood. First, everyone else was getting a mobile phone. They soon bought phones too, and they, like the other farmers in the area, began to get regular updates on the prices of their main product – tea. As documented by journalists in many countries, this had a positive impact on their incomes, as they were able to check changing market prices for their tea leaves. But there was another change afoot. 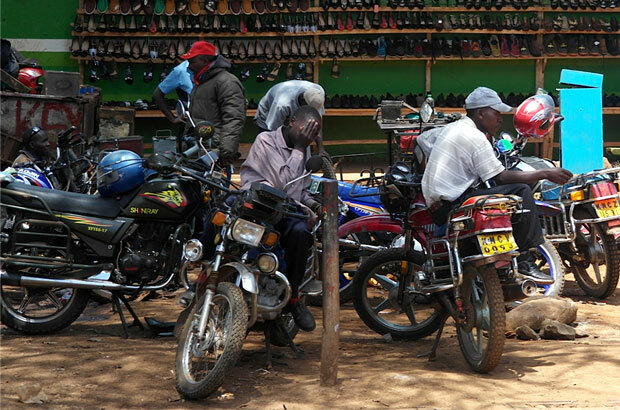 Many young people started buying and driving motorbikes (also known as piki piki or boda boda) around the area. And as they did so, some of them spotted a business opportunity. The roads in Githumu are mud roads – often bumpy and sometimes impassable for large trucks or cars, especially in the rainy season. 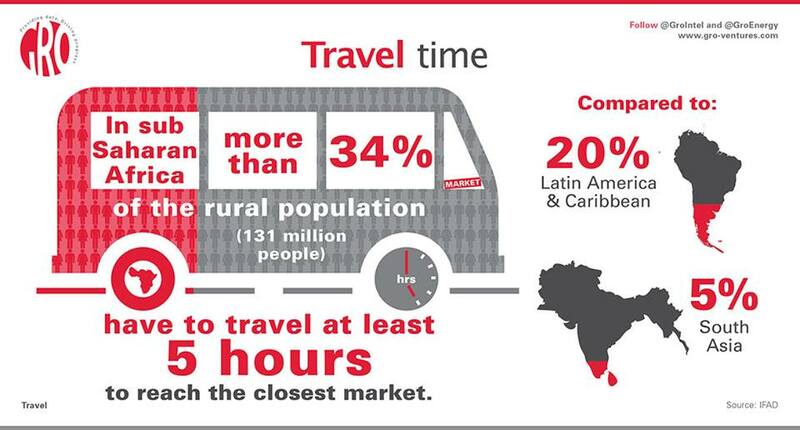 Travel can be a real constraint for people living in rural areas, as the infographic below shows. However, motorbikes are much easier to navigate on rural roads. The young people realised that with their motorbikes, they could start transporting goods quickly from Githumu to the nearest markets. My aunt and uncle, in turn, realised that these better transport links could enable them to start a new business – selling eggs. And they could use their phone to check the prices for eggs but also get payments for the eggs they had sold through a system called MPESA. MPESA was originally piloted around 10 years ago through a partnership between DFID and Vodaphone, and has grown into a major profitable business, helping millions in Kenya to get access to finance they would never have had otherwise. But how did the motorbikes appear in the first place? That was due to the Kenyan government and Chinese business. In 2007 and 2008, the Kenyan government decided to cut VAT and import duties on motorbikes. Chinese exporters spotted a market – as did, to a lesser degree, exporters from India and Japan – and rapidly sent cheap bikes into Kenya, leading registrations of motorbikes to shoot up from around 16,300 in 2007 to around 125,000 in 2013. At these kinds of prices, entrepreneurial young people were able to invest in the bikes. Motorbikes are much easier to navigate on rural roads and these ‘boda boda’ motorcyclists are making the most of the opportunity. Picture: Marcus Ryder. Since these changes, my aunt and uncle’s farm has been thriving. By adding eggs to the products they sell, their income has risen by over 10 times. Added to this, they have used the by-product of chickens – their manure – as fertilizer for the tea plantation, and the crops have flourished. 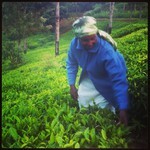 When I last visited them, they were the only family still producing tea beyond the usual picking season. They are incredibly pleased with this positive change to their lives. This change was enabled – in a very fortitious way – because of the combination of support from the Kenyan government – by cutting taxes; from the Chinese – by spotting a market to export cheap bikes; and from the UK – by helping to create a new way to transfer money. With more and more interactions between the UK, China and Kenya and others taking place, including through platforms like the Global Partnership for Effective Development Cooperation, I hope that in future more huge changes to lives will be made through more multi-actor, complex partnerships like this.